Managing your shifts doesn’t have to be a pain. 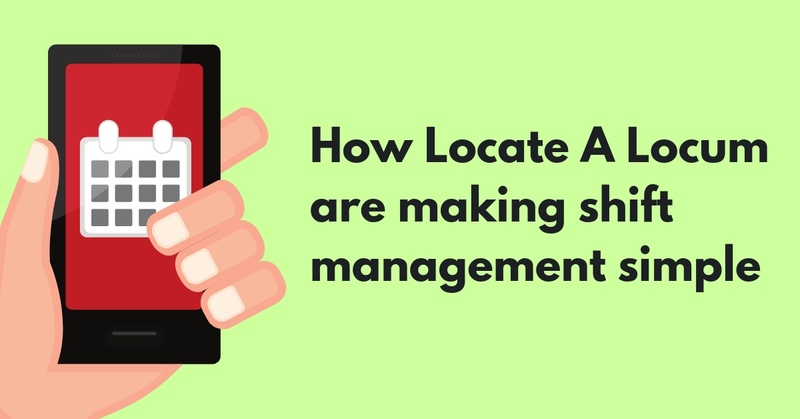 In fact, here at Locate a Locum we think it should be as easy and seamless as possible so that you can get on with the rest of your job without worrying about phone calls, emails and booking fees. Our brand new feature - the Gap Uploader - allows employers to skip the spreadsheets when it comes to filling their gaps. You no longer have to send out your gap schedules to separate agencies and receive a dozen separate replies - we do all the hard for you. Simply, upload all of your shifts using our handy template, and then send the link to your agencies - one-click simplicity. After that, you can review your shifts with our calendar view. What’s even better is that our calendar has a draft view, so that you can make any changes you like before publishing them. Keep on top of the entire locum booking process, from setting a shift live to confirming your chosen locum, with our shifts dashboard. This is basically a record of all of your applications and bookings, so you never have to go searching through your invoices or emails again. If a locum has applied for more than one upcoming shift at your branch, you can book them in for multiple shifts - all with just one click. Easy right? You can continue to message your locums directly if you like. However, with Locate a Locum, you, or anyone else in your company, can message any chosen locum, and review your message history, too. Our smart system stores whether the locum you’re contacting is a direct or agency locum, so it’s easy to keep track. If a locum isn’t on the system yet, no problem, we have another simple messaging feature to invite your chosen locum to register. But, of course, you don’t need to message your locums asking for credentials or experience. We have made it easier than ever to pick the best locum for the job by allowing employers to view an applicant’s profile before booking them. All the key information you could ever want, is all in one place, ready to view at any time. Keep your locums in your pocket with our new employer app. Running from meeting to meeting, or simply not the sort to be sitting at the computer desk all day? That’s fine. Simply download our employer app and post jobs, review applicants and book locums from your handheld device. Even when you’re not on the app, we’ll send you notifications when you receive an application so that you can book your locum in as quickly as possible. You can see if Locate a Locum is the right platform for you today. Just download the app from either the Google Play or Apple store to get started, and see how easy your day can be.